I was pulling up some of my broad beans today and took a couple of pictures of nitrogen nodules on the roots for those of you who do not know what they look like. 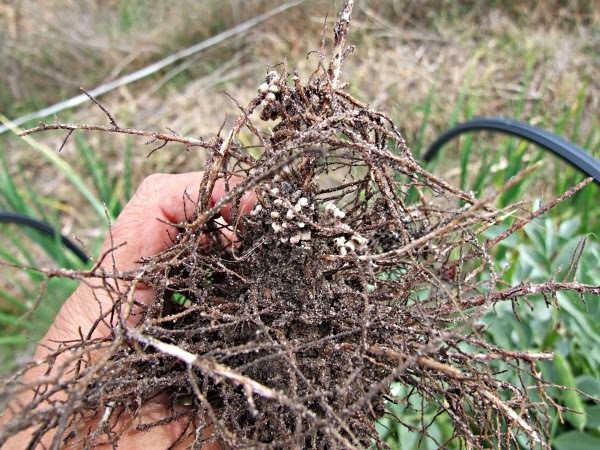 Generally legumes and some other plants attract symbiotic bacteria which absorb nitrogen and produce these nodules that allows the plants to access it. Most plants form symbiotic relationships with bacteria or fungi to help them absorb nutrients because most nutrients are actually hard for plants to use directly. 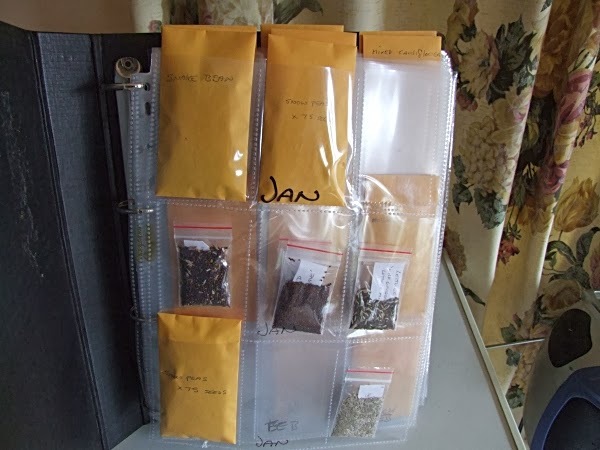 The bacteria in this case receive carbohydrates from the plants in return. The nodules are only active if the plant is alive and healthy so to take advantage of the nitrogen you should dig the plants (or just the roots) into the soil before the plant dies. 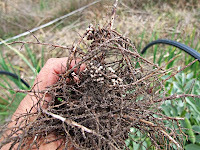 If the nodules are juicy and pink or orange they are active and useful. 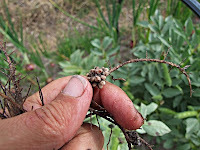 As I pulled up these beans I picked off the nodules and dropped them back into the soil as the plants were too big and woody to dig them whole into the ground. If you live in an area infested with root node nematode like I do you should learn to be able to recognise the difference between the nematode nodules and nitrogen nodules. To fertilise my beds I usually plant snow peas, take two or three pickings off then dig them into the soil This is much more cost efficient than letting the bed fallow for months, not making an income, and works better than most other green manures, in my opinion. I usually have 5 or 6 beds in peas at any one time and the peas are easy to sell so I can never have too many of them. 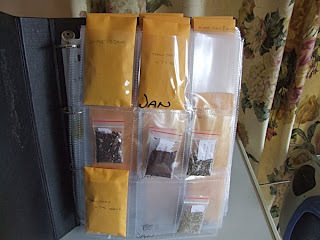 A few people who have visited have commented on my seed organisation so here it is. 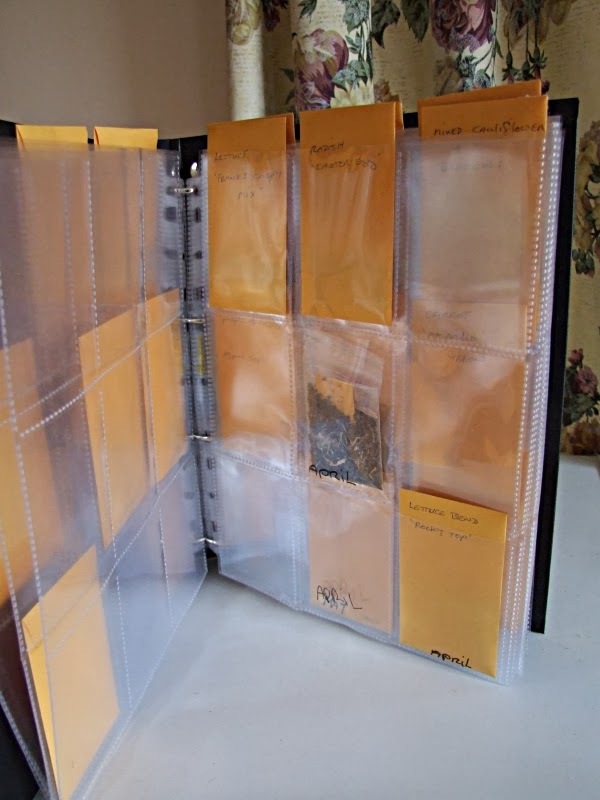 I use those sheets of plastic pockets that you can buy from newsagents to store trading cards. I then put them in folders so I can easily find what I plan to plant on any particular month. This system works really well, much better than a mix of packets in a shoebox, lol. The only problem I have had is when I drop a folder and half the packets fall out. Lucky it is easy to put them back. Thanks also for taking the time to show all of us what nitrogen nodules look like.